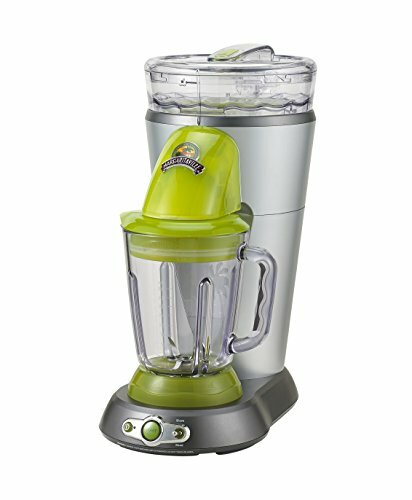 Nothing captures that casual islands attitude quite like a Bahamas frozen concoction maker. Mon oh mon, does it ever keep the icy cold drinks flowing. Put it on "shave 'n blend," and it automatically churns out a full, 36-ounce pitcher of frozen drinks as good as any you'll ever get in a restaurant. If you want to put your own spin on the concoction, use the custom "shave only" or "blend only" setting. You'Ll be sipping on a slice of paradise in no time. It'S better with the Bahamas frozen concoction maker. If you have any questions about this product by Margaritaville, contact us by completing and submitting the form below. If you are looking for a specif part number, please include it with your message.